The staff were awesome. After checking in, we had some difficulty with the tv. A trainee came to our room. She could not figure it out. She later returned with her trainer. They then got the tv to work. We at one point said not to worry about it, but they were determined to get it working. 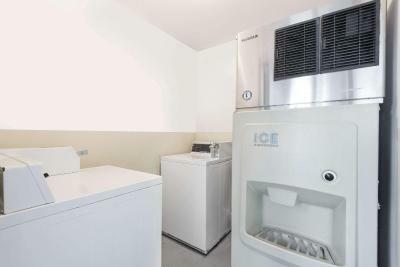 Nice large room with fresh paint, comfortable bed, nice tv, microwave, mini fridge, desk, dresser. I liked the cleanliness and simplicity of the room. The front desk staff was very friendly and the breakfast was quite tasty. Room was clean, but could have used a very thorough cleaning. Very friendly staff! 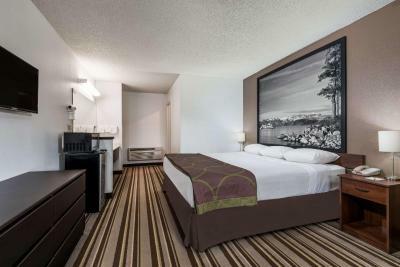 Very nice rooms for the price. Woman at front desk very nice and helpful. 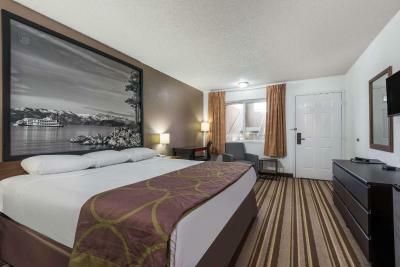 The room was a nice size, had a comfortable recliner and was clean. 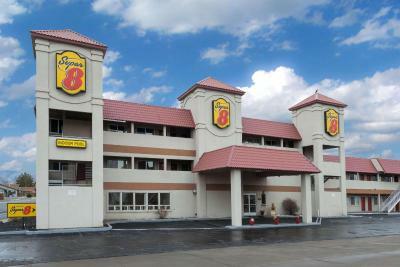 The location was great, being right next to a gas station and a casino to play in, all in the same parking lot, giving plenty of parking. The casino has a very good restaurant that's reasonably priced to go along with really good food. 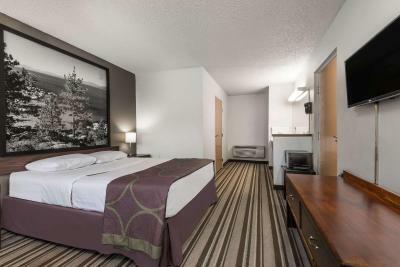 Super 8 by Wyndham Fernley This rating is a reflection of how the property compares to the industry standard when it comes to price, facilities and services available. It's based on a self-evaluation by the property. Use this rating to help choose your stay! 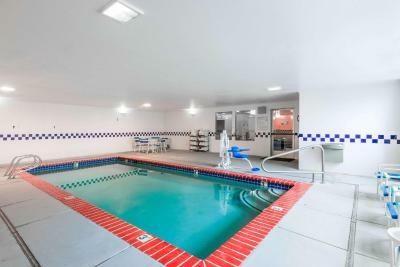 Next door to Silverado Casino, this Fernley, Nevada hotel features an indoor swimming pool. Reno, Nevada is 35 miles away. The site of Burning Man is 90 miles away. Free Wi-Fi is provided in each room. 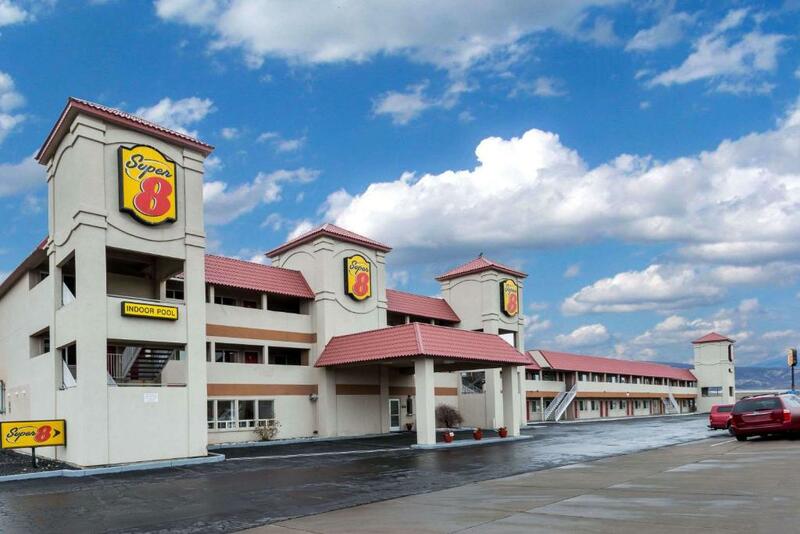 Every room includes a cable TV, a sitting area and a private bathroom at Super 8 Fernley. 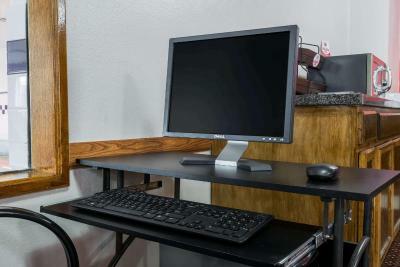 A desk and chair are also provided. A business center is on site at Fenley Super 8. Fax and photocopying services are also available. 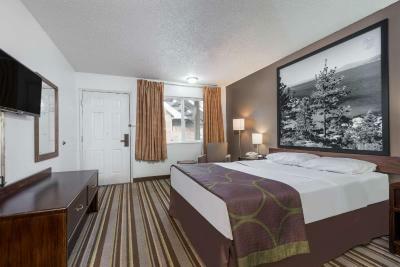 Yosemite National Park is 150 miles from Fenley Super 8. South Lake Tahoe is 80 miles away. 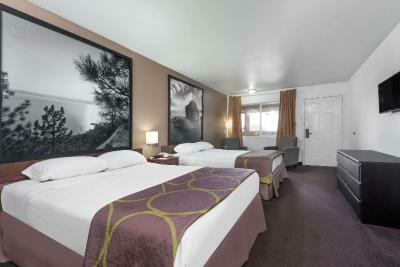 When would you like to stay at Super 8 by Wyndham Fernley? 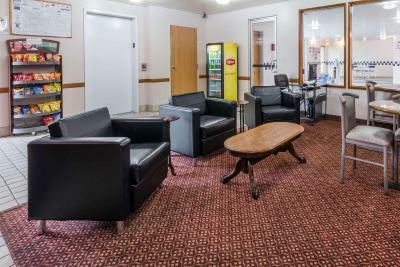 Offering free Wi-Fi, this room provides a cable TV, a recliner chair and a private bathroom. House Rules Super 8 by Wyndham Fernley takes special requests – add in the next step! Super 8 by Wyndham Fernley accepts these cards and reserves the right to temporarily hold an amount prior to arrival. It was noisy. I could hear my neighbors from my bed, when they turned on their water it was very loud and there were just a lot of creaks and pop sounds coming from the walls and appliances, I did not sleep well. It was clean and staff was nice. The carpet needed some work. Not sure if a pet had been in the room or what, but it needs more than vacuuming. The pool was chilly and kinda small. End tables well worn, one was falling apart. Carpet stained red. 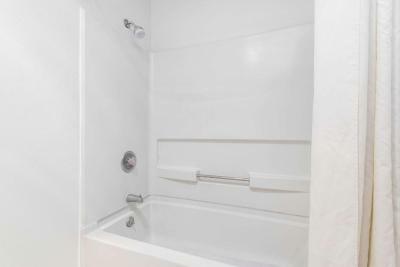 Worst of all, the tub wouldn't drain. One shower left 6 inches of water, which took nearly 2 hours to finally drain. Dirt in corner under broken end table. It was very noisy, there were people outside of our door talking very loudly late at night. It made it hard to sleep. Mattress was a little uncomfortable. In my reservations i had specifically requested a dwnstairs smoking unit due to a disability. When i arrived, i was in an upatairs unit with two beds all the way down the hall. When it came time to change rms in the morning i had to chnge rms all by myself, disabled, with no help. Staff was rude. Then i left the hotel via ambulance and they wouldnt refund my money or comp me the nights i was gone. So basically i paid $300 for no one to stay in my accomodations. I strongly advise if you are staying more than one night, you bring your own pillow. Also the heater has the temperature knob off of it so it was way too hot if the heat was left on. Toliet didn't flush properly but at least it worked. Well the water never did get hot, warm. My whole family had to take cold showers. The maintenance man came to my room and really didn't have any answers to why. And my kids smelt marijuana so when I opened my door, there was a guy smoking outside my door. Poor security. Also my credit card was charged before I even arrived, i wanted to use a different payment process. Very quiet. And good location. no available power plugs, all visible plugs used by fridge, microwave and tv. comvemiemt for stores and restaurants.